Whether you hold a CDL and have received a traffic ticket, have been labeled a Habitual Traffic Violator, have had your driver’s license suspended, have some unpaid tickets to get cleared up, or simply want to challenge a speeding ticket, Chambers Law Office, LLC can help. As the former Deputy Prosecuting Attorney in the Marion County Traffic Court, Julie Chambers handled hundreds of traffic tickets. She represents clients in all areas of traffic law and can provide experienced representation to defend your traffic ticket or help you get your driver’s license back, and she will work tirelessly to protect your rights and help keep you driving legally. 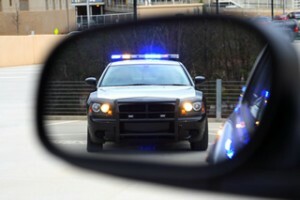 What many people do not understand is that traffic tickets remain on your driving record for years and if a person receives multiple citations over a period of time, those tickets can create more issues down the road. Depending on a person’s driving record, he or she may be required to take a Driver’s Safety Program, provide proof of insurance to the BMV, or even serve probation or a license suspension for excessive points. If you have received a traffic ticket, need assistance resolving unpaid tickets, have excessive reinstatement fees that you cannot afford or are dealing with any other traffic law or driver’s license issues in Indiana, contact Chambers Law Office today!